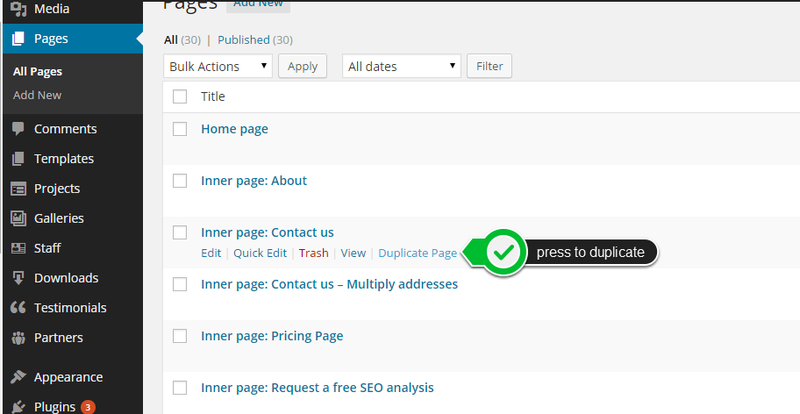 Locate the page you want to duplicate and hover a mouse on it. You'll see a new option appeared - Duplicate Page. Press it to duplicate. A new page will be available immediately. To learn how to add the new page to the site Menu, please see this instruction.